When you hear people discussing interest rates or investment returns, you may notice that they make a distinction between real and nominal rates. What’s the difference and why should it matter to you? Essentially, the inflation rate is the difference between the two. It matters because nominal rates don’t tell the whole story – for your investment returns or the economy. To really understand what’s happening with your money, you need to look at real rates, too. 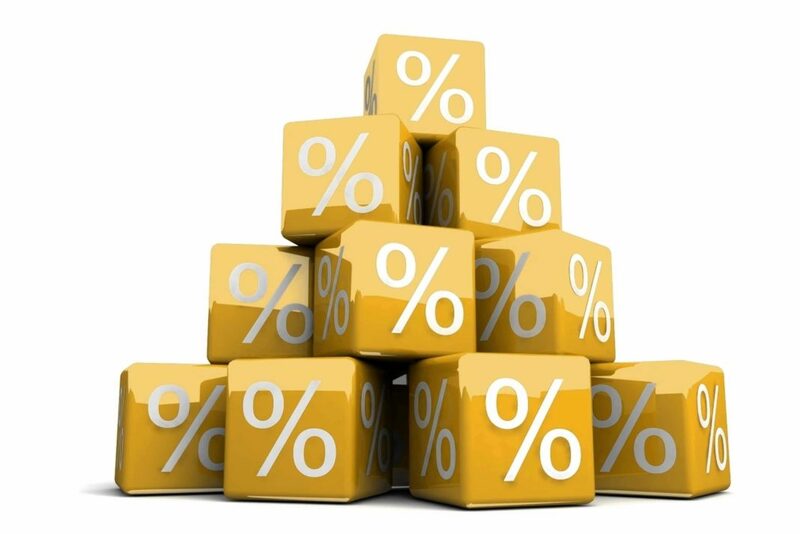 The nominal rate is the reported percentage rate without taking inflation into account. It can refer to interest earned, capital gains returns, or economic measures like GDP (Gross Domestic Product). If your CD pays 1.5% per year (e.g. Ally Bank CD interest rates), that’s the nominal rate. On a $1,000 investment, you will receive $15 in interest after one year. When you hear economic reports that quote “nominal GDP,” that refers to the annual rate of economic growth without inflation being factored in. That’s right. Your real rate of return is actually negative. That’s because inflation erodes the purchasing power of your money. Inflation can have the same effect on real economic growth. If nominal GDP is running at 2.5% and inflation is 2.0%, then real GDP is only 0.5%. If you play with the numbers a little, you can see that inflation could cause a posted (nominal) GDP rate to go negative in real terms. A negative GDP signals economic contraction. If it stays negative long enough, that means the economy is in recession. Inflation is a silent killer of capital. It’s not tangible, but its effects are quite real. You’ve probably noticed that you’ve been paying increasingly more for gas and groceries over the past couple of years. While you might have filled up your vehicle for $40 in 2008, it might cost something like $50 in 2011. That’s inflation. Your $40 just doesn’t buy as much as it used to. Suppose your investments are generating $2,000 per year in nominal terms, but that $2,000 won’t buy the same amount of goods and services as it did when you invested it, due to inflation. Your real return will be less than $2,000, perhaps by quite a bit, depending on the inflation rate. You’ll want to adjust for inflation whenever you can. Economists generally consider deflation to be very negative for an economy and its citizens. Declining prices can lead buyers to sit on their hands, waiting for a better price. This can seriously cramp economic activity, leading to lower demand, lower profits, and higher unemployment. So the same CD earning 1.5% per year on a nominal basis could actually earn you 2% per year in real terms in a mildly deflationary environment. Of course, that would be cold comfort if you’ve lost your job and are surviving unemployment due to a struggling economy. But still, it’s worth understanding the math. Our scenario looks quite positive for a person who is saving money. But what about the effects of deflation on your debt? That picture isn’t quite so pretty, and is one of the main reasons why central banks and governments are doing all they can to prevent a deflationary spiral. Countries and consumers are carrying an enormous amount of debt. A rise in real interest rates could make it difficult or impossible to service that debt. Using the math above, you can see that a consumer, municipality or country that is paying a low nominal interest rate on its debt would incur extra costs in real terms if the inflation rate were to turn negative. One of the debates that continues in the financial community is the accuracy of government inflation statistics. The government changed the way it calculates inflation a number of years ago, and critics argue that it grossly underestimates the rate of inflation. The U.S. inflation rate did turn negative for a few months during 2009 as a result of the financial crisis, but has since been running around 1%, according to the government. That’s a pretty low rate when you consider that food prices recently hit a record high and oil prices have risen about 30% since the end of August 2010. Housing and electronics prices have remained low to offset some of those increases, but food and energy costs have definitely hit consumers harder than that 1% figure would suggest. Further, policymakers will often focus on core inflation, which strips out food and energy pricess. That doesn’t provide a very realistic inflation reading. I don’t mention this divergence between core and headline inflation rates to encourage you to complain to your local politician, but merely to point out that government figures, like all statistics, need to be taken in context, and with a grain of salt. A trip to your favorite grocery store or gas station is all you need to let you know that inflation is likely having an effect on your purchasing power that measures a lot higher than 1%. Inflation is one factor to consider in your financial and retirement planning, but it’s not as crucial as the basics: spend less than you earn, plan your expenses and make a budget plan, and automate your savings. Still, the next time you read about investment returns or GDP growth, you’ll know that you need to put those numbers in context by understanding the difference between real and nominal versions of the rates. Are you finding that inflation is affecting your budget or your investments?